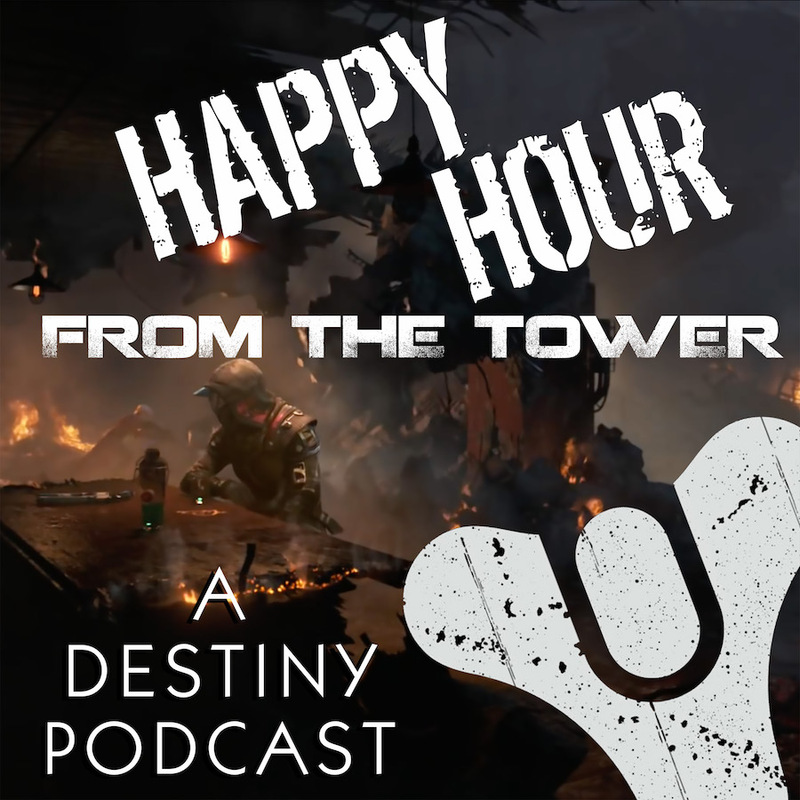 What a day on Happy Hour from the Tower! First, it’s Reset Tuesday so it is time for new Flashpoints, new challenges, a new Call to Arms, a new Nightfall, and new starting points in Raids. Know what else is new? PC Users are now online with Destiny 2! Welcome aboard, PC Gamers! We’re thrilled to welcome you to the Tower, and we hope it’ll be worth the wait! Now there have been a lot of questions flying back and forth on Twitch about whether or not Destiny 2 is a worthwhile game. We think it is, and this is the show that’s going to tell you why. Whether you are a new PC Gamer jumping in Cabals deep, or a console player curious about the hype, the Guardians are here to tell you why they keep coming back to Destiny 2. There’s always room for Charlie Brown in Destiny. Nothing really. You can start Destiny 2 cold. For veteran players, there are moments of reflections from previous accomplishments. Nick does have a bit of concern about the tone “Homecoming” sets. No, it does lighten up. Who are the Traveler and the Speaker in Destiny? What’s the Tower, and who are the Vanguard? What’s out there waiting for us Guardians? What’s with this whole “Light” thing from the Traveler? Why is it so important? Hold on — Guardians have special powers? Some are powers that help you, but there are others that help your team. Brandon insists on splitting hairs at this point. Let’s talk about our individual approaches to Destiny 2. Quick Sidenote: How does Brandon think that Destiny 2 performs on the PC? Brandon’s admitting to the learning curve on the keyboard, but he could make the jump. Lot of details are popping in this game, especially in the visuals. Tee is approaching the Storyline along with the Adventures, and he found himself leveling up quickly. Tee’s budgeting time in the morning for the game. (Something Tee never did in the D1 years.) Join him in his Early Morning Twitch Stream where he’s still getting things done. Nick is enjoying the D2 experience strictly for the social experience! The best advice for Destiny 2: Take your time. Shout out to Big Show, avid Destiny player! Know what else is cool? New Destiny Swag! Check out the Bungie store! Destiny Stress Balls…that are engrams! And Funko Pop is bringing their A-Game! Switch up those weapons. Have favorites, but switch ‘em up! Nick recommends having a fully charged controller in the wings.